Yesterday iOS7 was released to the world, and it looks like it has been quite popular. People all over the world updated their iPhones and iPads to the latest iOS version. For most apps that meant redesigning the UI to match the iOS7 specific style. But there has been an other new feature that is going to be very important for developers who build apps targeted at kids. The Kids Category in the App Store went live, and we have updated our apps in time so that they were available at launch time. The app can’t use ads that work by tracking what someone does in the app and serving them related ads. The developer must use a parental gate before allowing the user to link out of the app or present In App Purchases. Looks like that paid off! 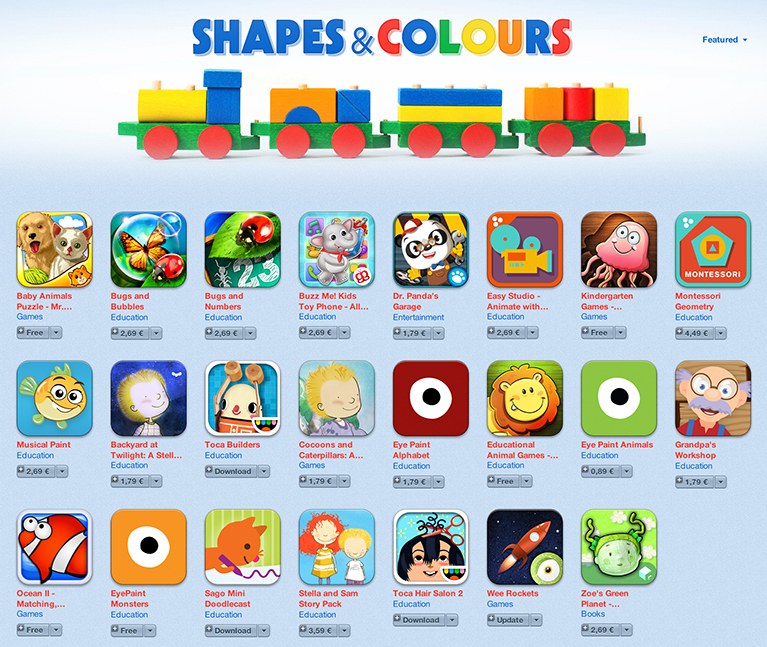 Browsing through the new Kids Section, Wee Rockets is featured in the Create & Play, Shapes & Colours and Games for Kids sections. Wee Subs is featured in Games for Kids. 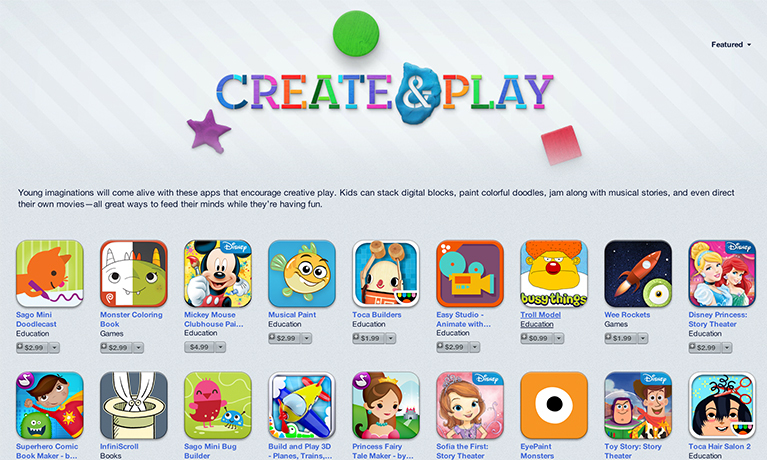 To see our Wee Taps Apps among the apps from Toca Boca, Disney, Dr. Panda, Sago Sago, and other quality kids apps is pretty awesome! Now let’s hope that we can get some extra happy little users from this! Besides that you also have to check what is allowed. Stuff like registering personal information and connecting to for example Facebook is not allowed for kids apps in general. You can also check the COPPA rules for that. Your response was very clear and useful. This basically confirms what we are doing. Our approach is to be as secure as we can as far as children is concerned. No links, no ads, no social media, no personal data, no location, no purchases are allowed in our apps. The site where we hope kids will go to learn more about the apps do also not contain any of those elements plus no YouTube videos. There will be only one discrete link in the kids site (in the Grown Ups section only). This link is for our other website – the editing company. Here we have social media links and collect adults personal info. This is our way of looking at it. Will us be selling. I do not know. But, this is the way we look at these things. I have not provided you with the link to our website, since this is still in production. Hope we will keep in touch.